Hello friends! A few months ago I started writing a piece for the The Columbia Monthly. A publication up here in Northeast Washington State that says it’s about “Where And How We Live.” And it is. A bunch of writers trying to put into words what so many people think and feel. Writers sharing their interests and passions and maybe even teaching us something along the way. I read it cover to cover for months before I summoned up my courage to contact the publisher and presented him with some of what I had written. To my astonishment, Gabriel thought I really did have something to contribute! I guess if I had a goal, and I really don’t so I’m making this up as I type, ( Ha!) it would be for someone, anyone, maybe only one person to say “She nailed it. That’s just how I feel, or think or imagined.” The following is my contribution for the February issue. Cooking, it’s so much more than making a meal. It’s sharing time with my hubby. It’s about making family memories to last a lifetime. 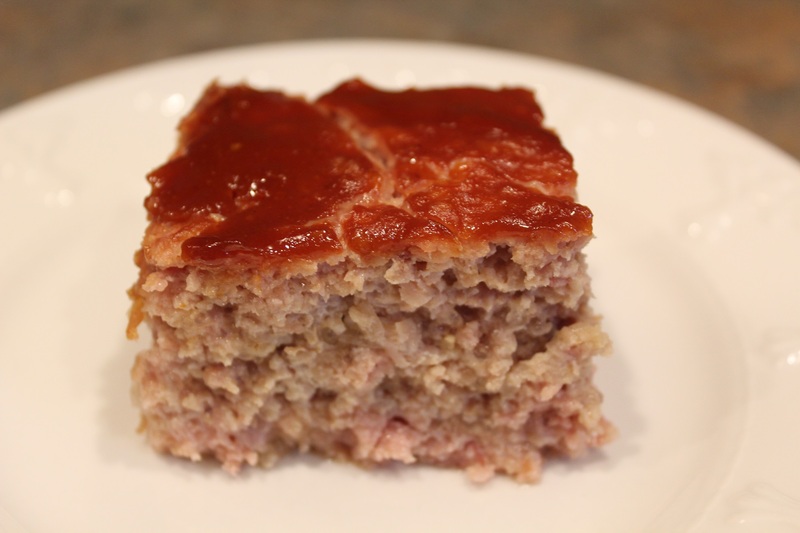 It’s about passing down traditions like my Grandma’s Ham Loaf. I’m Karen and I like to cook. It’s been two hours since I last cooked. There…I said it aloud and I won’t apologize for it either. Ha! In this day and age of fast food, ordering takeout meals, ordering meals online for home delivery, food from a can, microwavable food from a box and dining out at restaurants, I often feel that I’m an anomaly. For me, it’s not just providing nutritious and delicious meals, but about feeding my soul and making memories to last a lifetime. Cooking and baking from scratch is something I have enjoyed doing since helping my mother in the kitchen when I was just a tot. Those are some special memories of one on one time with Mom. Both of us wearing aprons and me, standing on a kitchen chair at the sink being taught to peel potatoes or stirring in nuts and raisins for a batch of cookies. Watching out the kitchen window at the dogs playing in the yard or exclaiming “there’s another one” as we saw in the distance, a Freighter chugging its way up Lake Erie. It’s quietly soothing and comforting to have those mother and child moments together. My Dad was raised in a Coal Mining Camp in northern Georgia. The company store provided their groceries and Grandmother canned or dried what fruits and vegetables she could find. They ate well, but with little variety. If you wanted meat, you had to hunt it. Determined to do better for his wife and children, Dad bought a few acres and raised every kind of fruit and vegetable you could imagine. We were beyond well fed! Fresh raspberries, apples, pears, peaches, cherries and concord grapes. Corn, tomatoes, beans, peas, potatoes, swiss chard, onions and more were brought into our house and Mom froze, canned, made jams, jellies and juices that fed us all year long. I never had a store bought fruit or vegetable. We never had any food that came from a can. Everything Mom cooked was made from scratch. I guess you could say we were spoiled by all this homegrown goodness but I didn’t realize it at the time. I remember clearly, a friend’s mother buying cans of green peas and thinking, “They must be rich if they can buy vegetables in a can!” On a rare occasion I would have dinner at a friend’s house and was served those store bought canned peas. Oh my! That’s not what peas taste like! That’s when I began to realize that I was the rich one. Following in my mother’s footsteps, I have been preserving home grown foods my whole life. These days it’s my husband supplying us with fresh homegrown produce from his large and getting larger every year garden. He keeps me on my toes trying to find new ways to use up all those wonderful vegetables. Last year he planted 2 rows of Swiss Chard. There is just the two of us…. I sautéed Chard with onion and vinegar. I cooked it with Garlic and Balsamic Vinegar. I made creamed Chard. Steamed and drizzled with Olive Oil, Salt and Pepper. I made Omelets and Frittatas and stuffed chicken breasts with it. Then I froze 2 bushels of it. Bless his heart……….. This year he decided if one Yellow Crook Neck Squash plant was good then 10 would be even better. I cooked squash in all the old ways I knew, then I started experimenting with pretty good results. Finally, I gave up. My neighbors started turning their lights out and locking their doors when they spotted me driving towards their houses. But my point is, fresh is best. Homegrown can’t be beat. Cast your fate to the wind, and experiment. Just have fun with it. Get your hubby, sisters and kids involved. It’s a wonderful way to make memories. Sometimes it will be a total disaster, but most times, you’ll have a fabulous new treat for your dinner table. And so, as I matured, my interest in good fresh food, well prepared continued to develop. 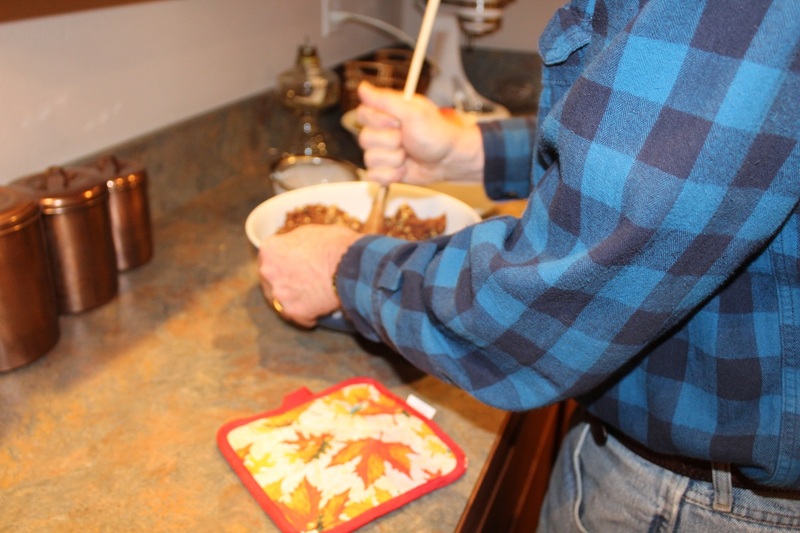 Never a child protégé, I learned and am still learning the cooking “ropes.” Early on there were some pretty awful meals made by moi, but due to my fascination with good food and the cooking process itself, I just persevered until I became totally comfortable in the kitchen. Cooking and baking to me, are creative art forms. Much like the artist, who with a palette of colors, knows how and when to apply them to her canvas, I rely on my cupboard full of herbs and spices to guide me as I flavor and season whatever food is before me. Learning which herbs compliment each vegetable or meat requires research, tasting and testing. Having traveled quite a bit throughout Europe, I discovered that though we ate many of the same meats and vegetables, each country seasoned their foods uniquely. Hungary, for example uses lots and lots of Paprika and not just one kind of the spice like we see in stores here. They have many different varieties of Paprika and each recipe calls for a certain type. Here, we use Paprika to accent Deviled Eggs and Potato Salad. My husband and I are both adventurous eaters. We find different ethnic foods wonderful and I attempt, usually successfully to recreate them here at home. What we also found in Europe is there is still an emphasis on home cooked meals and quality cooked meals served in restaurants. Yes, there are fast food places but not nearly to the extent we find here in the USA. 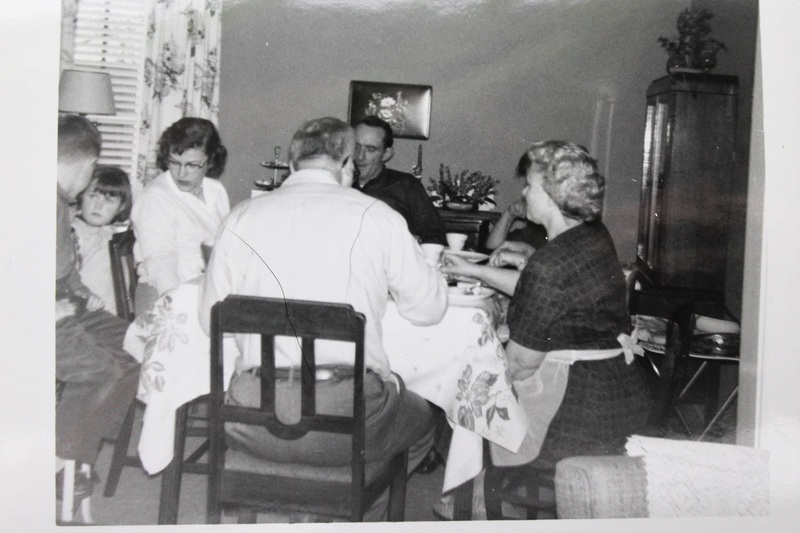 Europeans enjoy sitting around the table with their families to partake in their meals. Even though I worked full time as an RN, I still took time to cook our meals from scratch. Many times I would cook a weeks’ worth of meals on the weekend, so I just had to pull something out of the fridge and heat it up for supper. Nothing elaborate of course, but roasting a pair of Chickens or baking a big Pot Roast provided the means to make several meals. Leftover Chicken became Tacos and leftover Pot Roast became a hot Roast Beef Sandwich. Tossing together a salad and cooking a vegetable takes but a few minutes and my kids ate nutritious and tasty home cooked meals. I also cooked in bulk. Why make a dozen meatballs if I could make five dozen and freeze them in family size packages. It certainly was better than hitting Old Burger Grease on the way home from a Softball game or practice every night. Cookie baking memories with my children are treasured. My daughter, the Chocoholic would never entertain the thought of making a cookie that did not contain chocolate. My son, who was into Dinosaurs in a big way, had so much fun making Brontosaurus cut out cookies that we decorated with red Santa Claus coats and hats for Christmas. Teaching children to cook also helps them develop organizational and planning skills. Plus, it’s a fun way to sharpen their reading and math skills. For me, cooking is therapeutic too. I laughing say I solve the entire world’s problems working in my kitchen. The rhythmic action of chopping and dicing fruits and vegetables quiets my mind as I focus soley on what I am doing. Carefully considering what spices I’ll use to season the Pork Chops with on this day, requires pulling focus and that de-clutters my sometimes overly active brain. Decorating a cake requires concentration as I focus on details and that concentration drowns out the noise of a too busy world. I’m Karen and I like to cook. It has now been 4 hours since I last cooked, so I’d best get busy. Tonight it’s marinated Elk steak on the grill, a new experience for me! Now, what does one serve with Elk? Karen, this was wonderful and entertaining as always. Made me think about my upbringing and learning to cook with my grandma Rizzo. My grandpa had a fabulous garden and grandma canned everything pretty much. He built her a brick oven in our backyard and there she baked her wonderful homemade bread, rolls and Sicilian pizza. Karen I’ve said for a while now how truly gifted you are, It does not surprise me that the newspaper would say the same. Someday I really hope that you will write a book. I think you will find that a lot of people will want to read it. People are starting to realize what we have lost in our fast-food plastic-wrapped environment that we now have. More and more people want to have their own chickens, even in the cities, for the fresh eggs that they have. People have a craving for a life like yours, you have a lot to teach them and you motivate people to want to finally take the chance to get the life like that. I know you have for me. I love this article. It reminds me of my days with my grandmother when I was a child. That woman knew how to cook! You were truly blessed to have been raised as you were. In the last few years I have been rediscovering what my grandmother always knew; raising and eating your own homegrown food is far healthier for both mind, body and spirit then getting it out of a can. Karen, I really enjoyed your blog, maybe if my mother had been able to cook like you, I would like more than three vegetables. Thanks! This brought me back to so many memories. My Dad’s garden along with his hunting skills kept us well fed all year long. My Mom never complained about the endless canning and freezing that stocked our basement freezer and shelves Dad built just to hold the bounty that got us through long winters. I find it such a challenge to cook well just for myself. But as I read this I think, why not? I can do better…thank you for the inspiration!! !